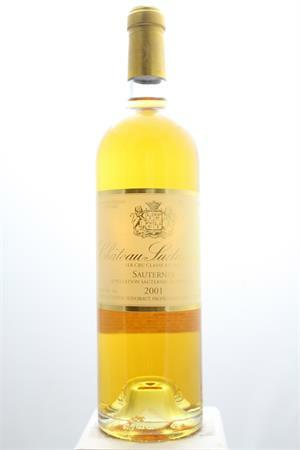 "A prodigious effort, possibly the finest Suduiraut since 1959, the medium gold-colored 2001 offers notes of creme brulee, caramelized citrus, Grand Marnier, honeysuckle, and other exotic fruits as well as a pleasant touch of oak. With terrific acidity, a voluptuous/unctuous palate, and sweet, powerful flavors buttressed by crisp acidity, it is a phenomenal Sauternes." Robert Parker 98 points.